The secret of the Kamado JAN is the ceramic dome. The ceramic shell acts as an insulator to keep the natural oils and moisture in food for incredible juiciness and tenderness. You get true wood fired flavour because the grills use 100% natural sustainable lump charcoal as a heat source. The shape also circulates heat for more uniform cooking. 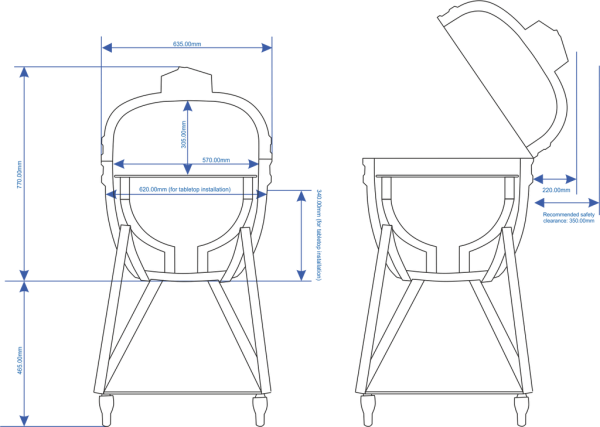 The air controls of the Kamado JAN allow you to accurately control and regulate the temperature. 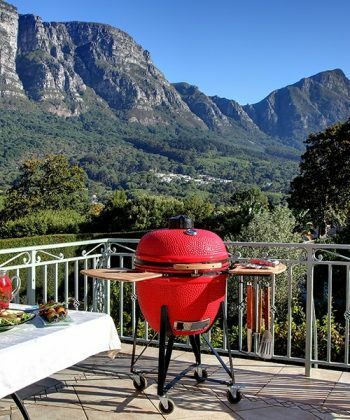 With the Kamado JAN grills you can bake, roast, sear, grill, smoke and even bake pizza with a simple adjustment of the air flow. 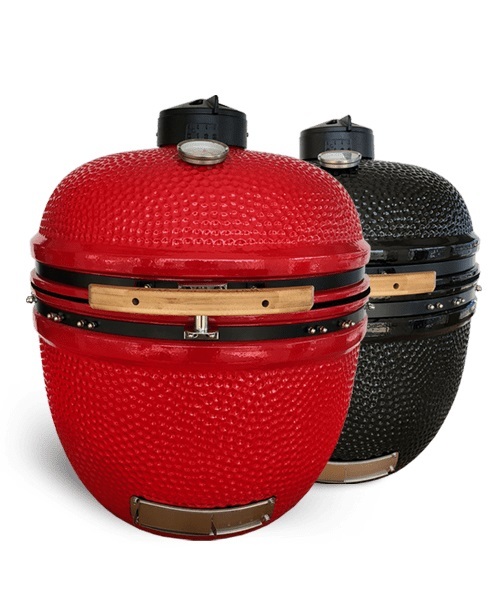 The ingenuous ceramic dome design gets the Kamado up to temperature and ready to cook in approximately 15 minutes. 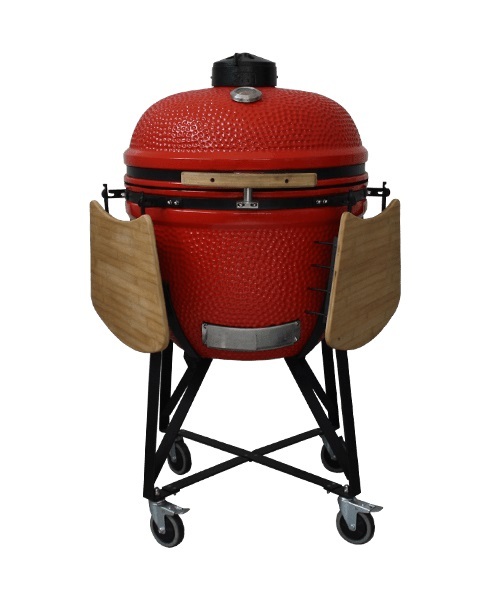 The Kamado is extremely economical to use, giving you up to 14 hours of cooking heat from one load of charcoal. The Divide & Conquer system has been designed to give you flexibility when it comes to cooking with your Kamado JAN and offers more versatility than with a standard grate. The Divide & Conquer system consists of the deflector plates, half-moon grids and the multilevel frame. These components can be arranged according to your unique cooking requirements offering you flexibility and ease of use. *All models come standard with a limited lifetime warranty.